If you wish to keep your old e-mail you should export it before setting up your connection to the YourOfficeAnyWhere e-mail servers. Once you have exported the e-mail you can import it into your YourOfficeAnyWhere account later. Click the folder that you want to export the .pst file to (Usually Inbox), Ensure you select the subfolder option and then click Next. Click the Browse button, and then select the location to save the .pst file. 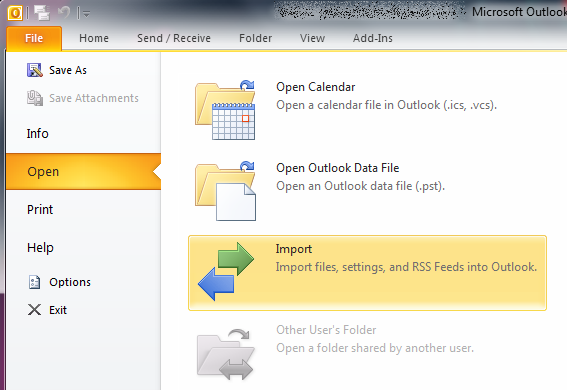 On the File menu, click Open/Open & Export (Outlook 2013) and then select Import from the right hand side.